Comfortable and warm, the Mens Kiewa Hooded Jacket is a must-pack item for your next trekking trip with the lads. It consists of 100% recycled fleece and has a soft, insulating reverse side for added warmth. 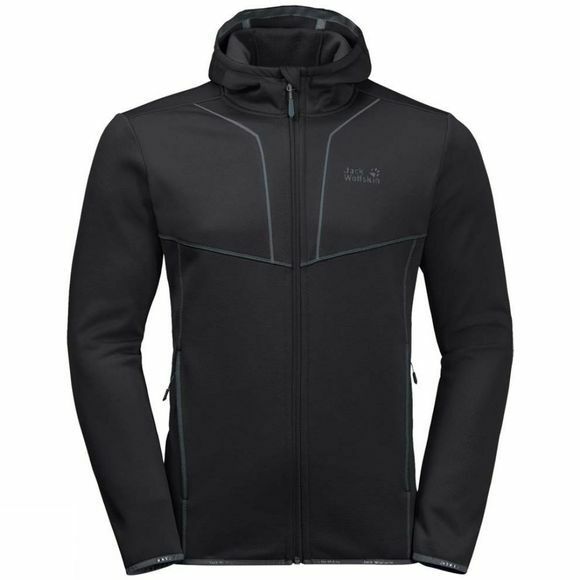 The Mens Kiewa Hooded Jacket is breathable, fast drying and stretches as you move. The stretch cuffs help to retain body heat and prevent overcooling.